It's always nice to see which films get the 4K restauration treatment, especially when it's not all-time hits such as Good Fellas but also films such as The Tales of Hoffmann (we reported) or 1776, the musical about the American war of independence. 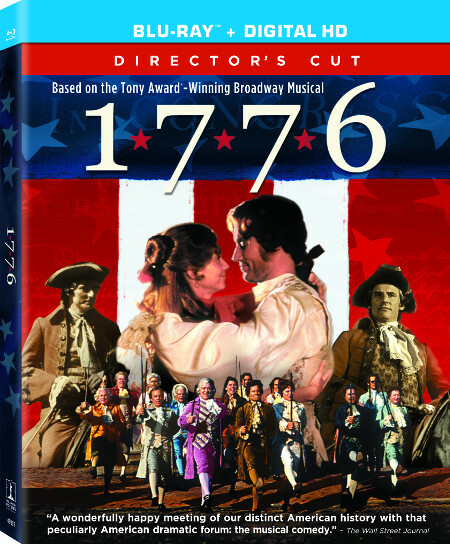 1776 was restored for a DVD release of the Director's Cut in 2002 but the Blu-ray gets it much more beautiful with a 4K restoration and also with new editing and additions. One of those extensions that came on board in 2002 was a musical number that was previously removed as US president Richard Nixon asked because he felt that it portrayed the conservatives as too negative. New scenes in the upcoming Blu-ray version will also include dialogues that were previously removed due to rating issues. The Blu-ray has its retail release date in the US on June 2nd, 2015. You can order it at Amazon.com.